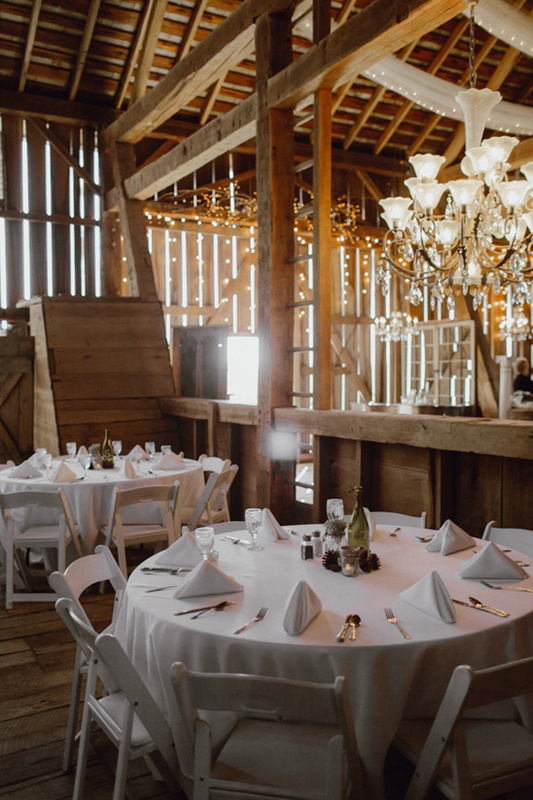 Understated definitely does not make your wedding boring. 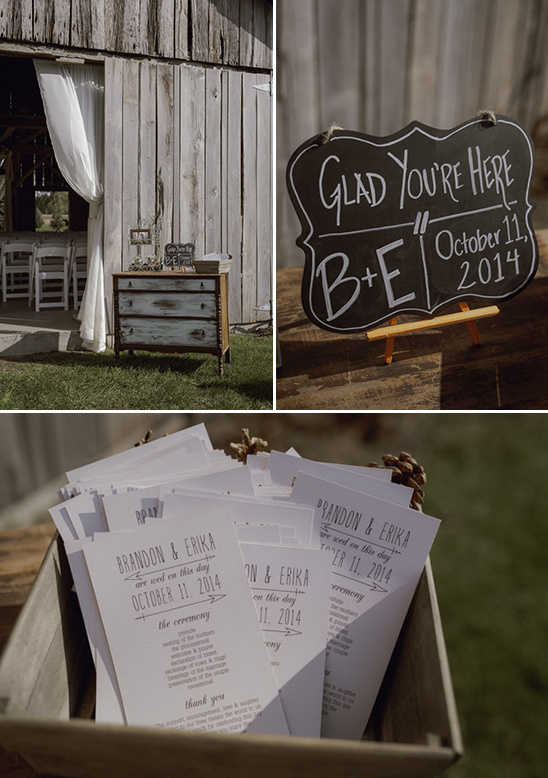 As you will soon see Brandon and Erika's Indiana Farmhouse wedding was filled with cost cutting ideas and recycled details that created one fabulous rustic event! 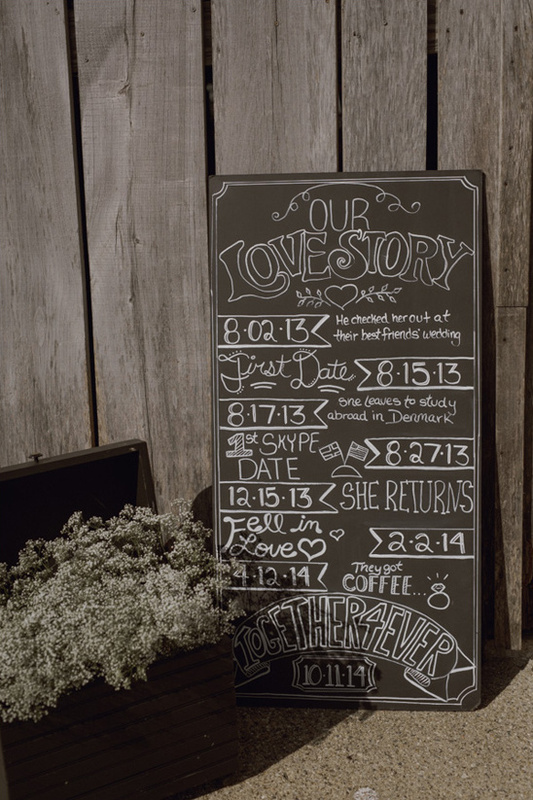 You can catch even more of their DIY details, when you visit the full gallery here. Trust us there is plenty more to see from their birds of a feather wedding! 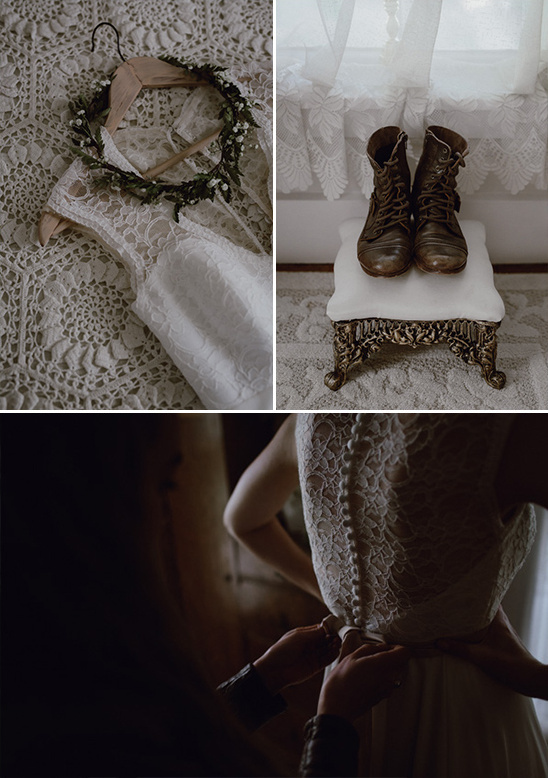 All photographed by Catalina Jean Photography. Bonus!! 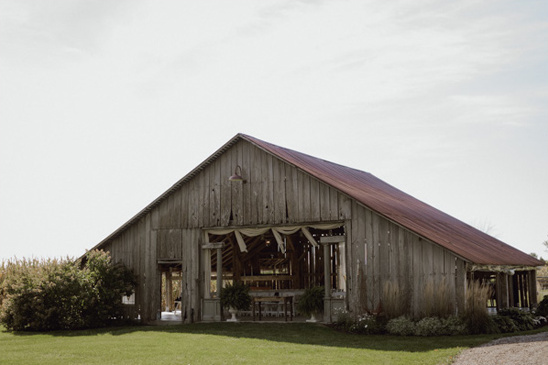 Keep on reading to see the budget breakdown of this rustic farmhouse wedding. So, great to see how much everything costs. We wanted to save money on flowers so we made our centerpieces, bouquets and boutonnieres. 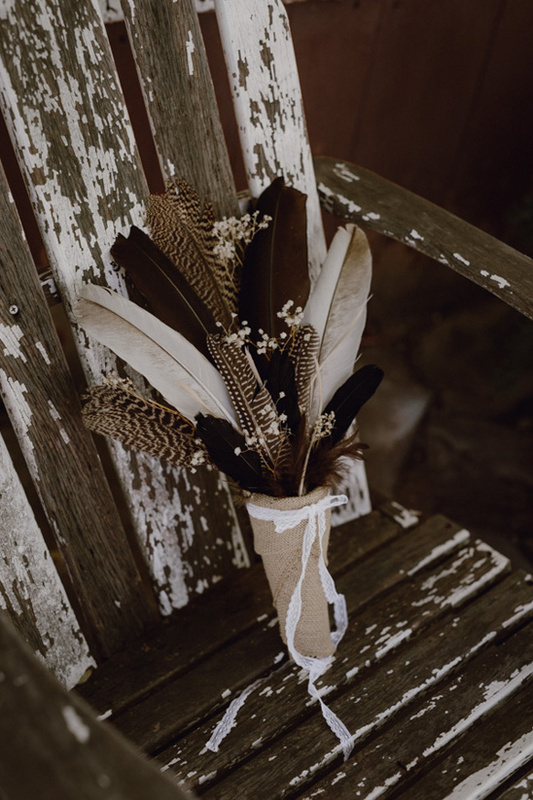 I searched on Pinterest a lot for inexpensive ideas and came across a beautiful feather bouquet. 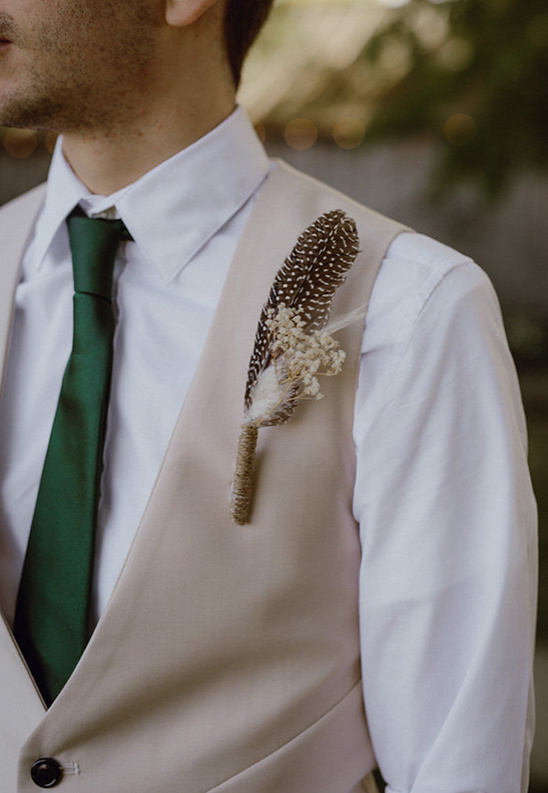 I was able to replicate that bouquet for about $40 and used the extra feathers and twine for the boutonnieres. 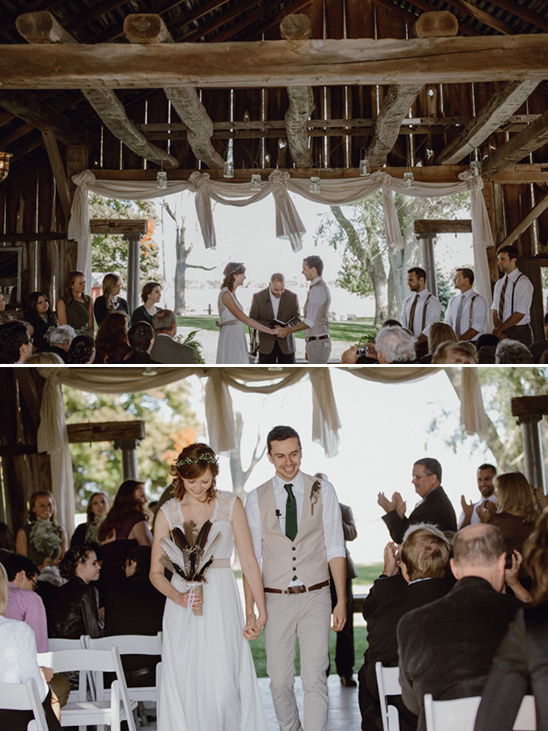 Early on, we knew we wanted to write our own vows. We wanted to spend time to consider the weight of the things we were going to promise to each other. Sharing our promises and commitment to each other before our God, family, and friends is something I will always remember throughout our marriage. 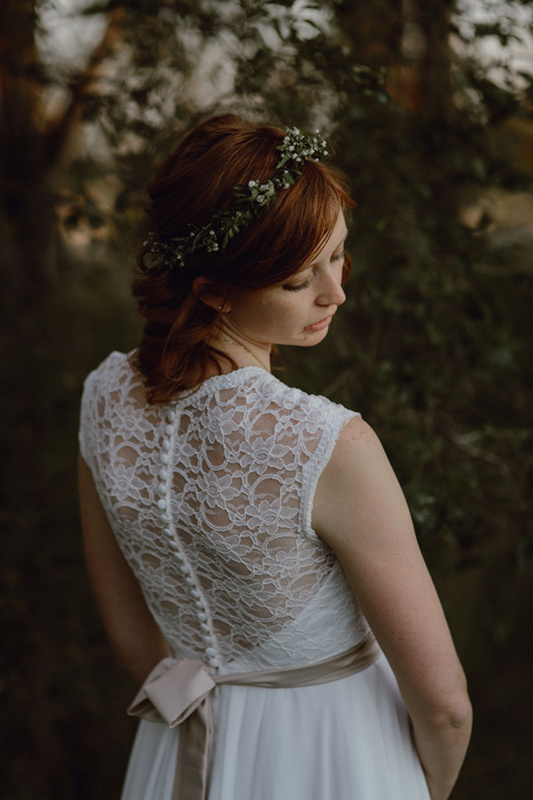 For my dress I really wanted something that was simple, comfortable and affordable. When I went shopping I realized that many bridal gowns were either too sparkly, princess­-like or thousands of dollars. 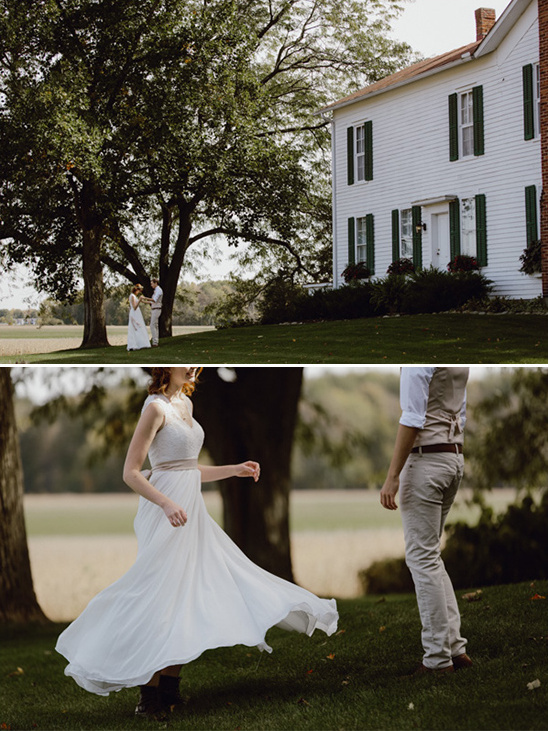 However, when I arrived at House of Brides I decided to check out the bridesmaid section; there I found the most perfect dress that fit my personality and the style I was looking for. AND, it was only $168! Basically we were striving to have a comfy and warm setting for our guests to have fun and feel cozy. 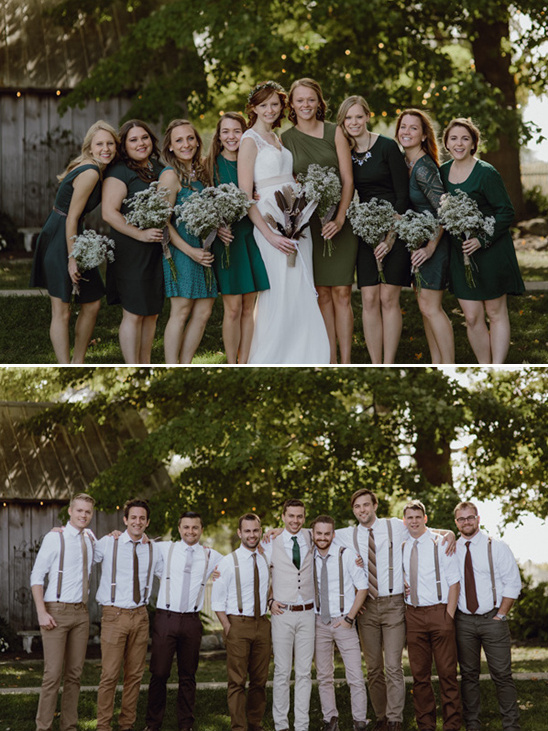 Our colors are also warm tones (dark/forest green, tan and browns). One of our family members recently got married a few months before and they had many decorations left over. 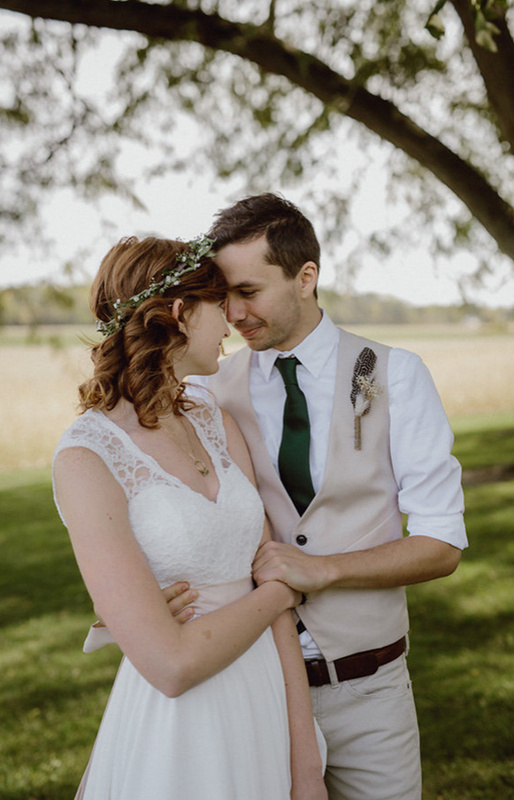 We decided to reuse some of the items and make them fit our wedding style. 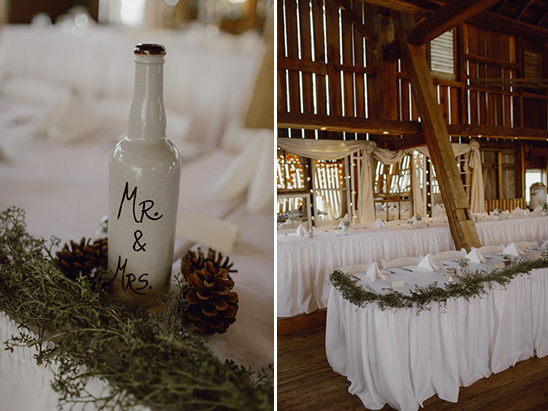 With these decorations and some hidden gems we found at the thrift shop, we were able to save a lot of money on wedding decor! 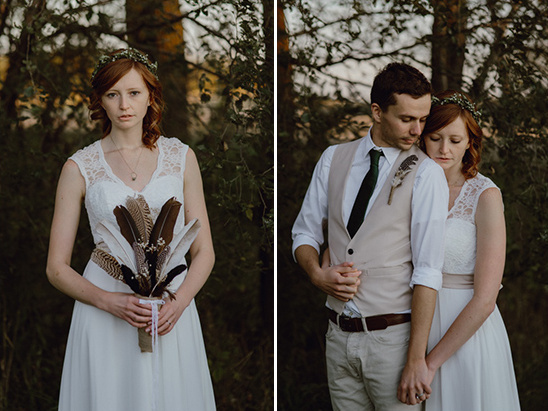 Read on to see how much this birds of a feather wedding cost. Please note that costs change as the years go by, and prices are subject to change. 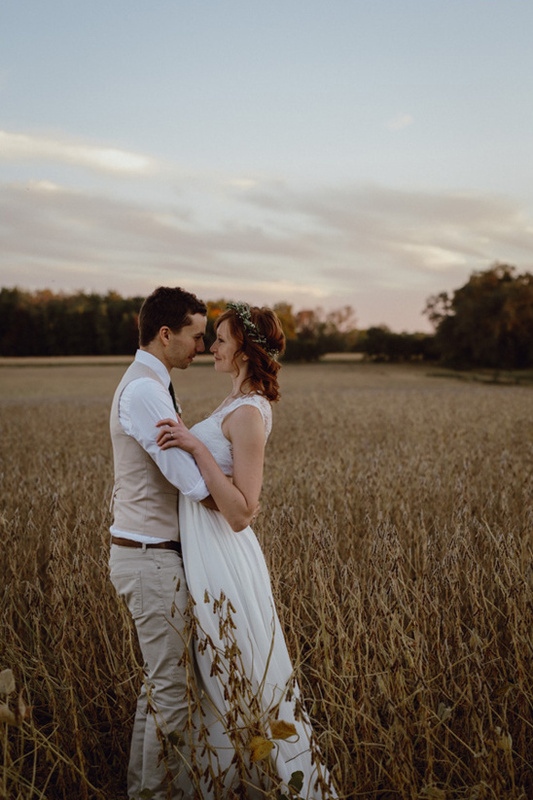 This is just one couple’s breakdown to give you a rough estimate on how much a wedding like this may cost you.